Westland Clinic offers the best in geriatric care in Michigan. Geriatric care is different from standard adult medicine because it focuses on the needs of seniors. It takes a special kind of doctor to work in geriatric care. Our doctors are trained in providing geriatric care and are Geriatric Internist Doctors that use a special approach when dealing with older adults because they acknowledge the special needs that come with aging. We offer a very personal experience to make seniors feel comfortable when visiting our doctors. Treating many conditions that come with age, from arthritis to hearing loss, from diabetes to cancer and more. Each of our doctors of geriatric medicine has decades of practice experience. Meet our Geriatric Care Doctor! At the Westland clinic, we have Michael Silverstone, D.O. 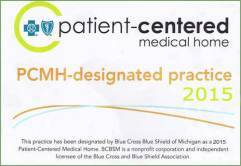 Many families put their trust in our Long Term Care of Michigan program. A medical service provider that aid in helping our geriatric patients in rehabilitation and nursing facilities. Working with all areas of geriatric care with nurse practitioners and physician assistants with an extensive experience in Long Term Care for seniors. Outside of working out of our medical clinics, our geriatric care doctors also work out of St. Mary Mercy Hospital. Don’t forget to Make your appointment at our Westland Medical Clinic location. Our commitment to you and your family is assisting in every way we can for senior care and treatment.